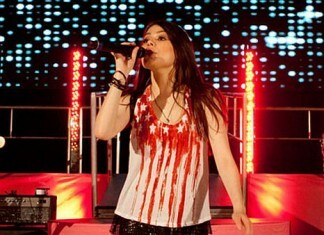 Miranda Cosgrove really blew through her prepubescent years as a child star. No child here, she is photographed performing in a pair of Denimocracy Anarchy Slashers in Black Mirror. Miranda Cosgrove smiles sweetly at a Y100 radio station meet and greet in Miami, Florida. 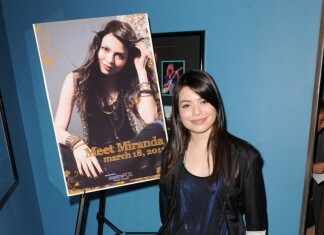 The iCarly star was there promoting her new album wearing a pair of Citizens of Humanity Jeans. iCarly star Miranda Cosgrove leaves Kitson with two large bags on Friday (March 25) in Los Angeles. Miranda is wearing a pair of Current/Elliott Skinny Cargo Pants. Miranda Cosgrove, star of Nickelodeon's iCarly is seen in the David Kahn Nikki Ankle Jeans in Goldrush while visiting the Westfield Sunrise Shopping Mall in Massapequa, New York.